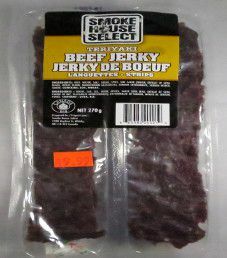 The next review on Smoke House Select will be on a 9.5 ounce/270 gram bag of their teriyaki flavored beef jerky. 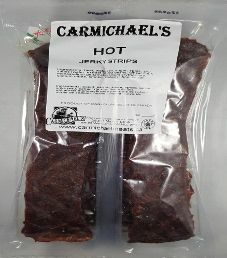 The actual jerky weight is 252 grams, where the plastic bag weight makes up for the missing 18 grams. This bag was purchased at Mac’s Convenience Store in Brampton, Ontario, Canada. 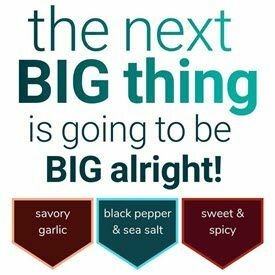 The first review on Smoke House Select will be on a 9.5 ounce/270 gram bag of their mild flavored beef jerky. 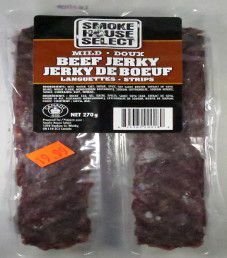 The actual jerky weight is 252 grams, where the plastic bag weight makes up for the missing 18 grams. This bag was purchased at Mac’s Convenience Store in Brampton, Ontario, Canada.